The mission of the Bloomfield Hills Schools Transportation department is to transport children safely, in mechanically sound vehicles, to and from school and school activities, with compassion, caring, and courtesy in a safe environment. BHS has 59 buses that are excellently maintained by our mechanics. We have received excellent police inspections for our fleet for the past 26 years! We strive for everyone who rides the bus to feel safe and secure and enjoy their bus ride. Have a safe and happy school year! Our School Bus Tracking App is Here! The Bloomfield Hills Schools Transportation department is pleased to introduce SafeStop, an app for your smartphone, tablet or computer that offers real time school bus updates. Please follow the directions below to get connected. If you have any questions about SafeStop, please contact the transportation staff members listed to the right. 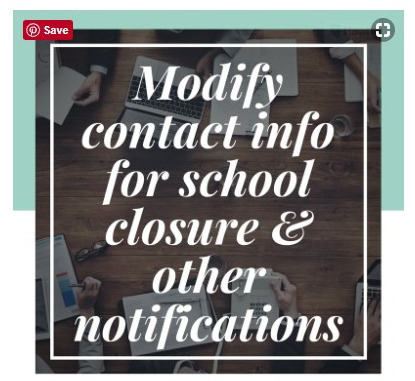 Step Two: click on the "Modify my contact info" button. Step Three: For the safety of your private information, the system will ask you to log in again. Step Four: If you have more than one child, select one of your children's name. Once their information is displayed, Select "Demographics" from the left side navigation, and you will see the Local ID in the second column of data, at the top. It will be an 8-digit number. Repeat Step Four for any additional children if they do not ride the same bus. Search for and install “SafeStop” in the App Store (iPhone) or Google Play (Android). Open the App, click on "CREATE AN ACCOUNT." 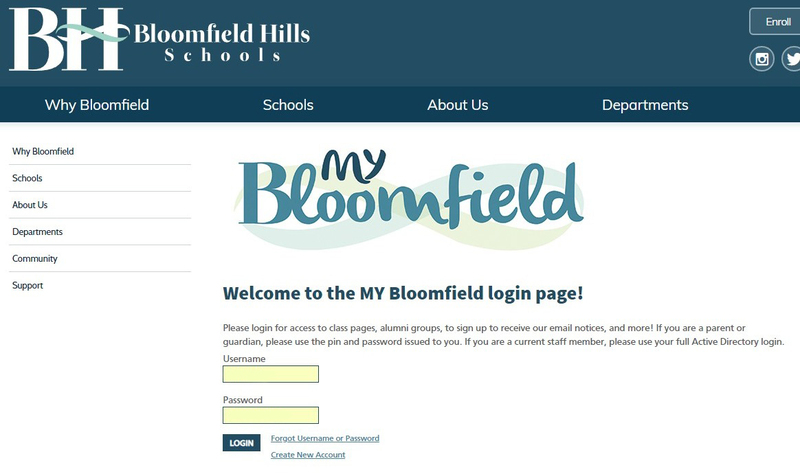 Enter your zip code, select "Submit," and then select "Bloomfield Hills Schools" from the list provided. Account creation requires an email address, a password containing 1 capital letter and 1 number, and your name. Complete those fields and select "Register." Click on the gear on the bottom right, and then select "Manage Account." 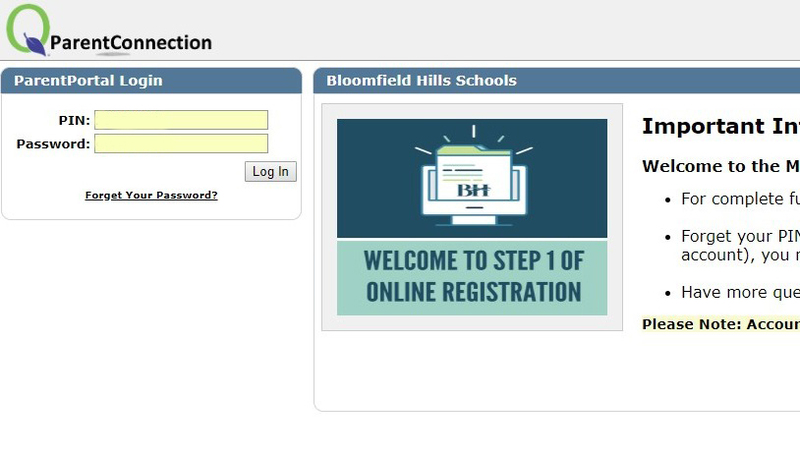 Click on "Bloomfield Hills Schools" and then "Add Student ID." Enter the Local ID number from ParentPortal, and click "Add Student." By clicking the bus icon in the lower left corner of the App, the routes will be displayed. For 30 minutes before and after the scheduled pickup & dropoff times, the bus locator will be displayed on the map. The SafeStop App is meant to help you plan around your busy schedule, NOT to help you arrive at the bus stop at the last second. The SafeStop App relies on a third-party GPS device on board the school bus, which sometimes does not transmit information every 30 seconds. For student safety, please arrive at the bus stop 5 minutes prior to the expected arrival time to ensure you do not miss the bus or slow down the boarding procedure. Bus Information can be found on Parent Portal. Login, find the student you wish to view information for, and click the "Transportation Info" link on the left side. Due to new students enrolling throughout the year, pickup times are subject to change. Any bus changes throughout the year will be updated on the site. STUDENTS NEED TO BE AT THEIR STOP AT LEAST 5 MINUTES PRIOR TO PICKUP TIME. Please have students outside at their stop (not waiting indoors). This will keep our buses running more efficiently and on schedule. Students should be dressed appropriately for the weather. Please note that our ridership fluctuates daily based on after school sports/clubs and therefore the times listed as drop off are only baseline. For afternoon drop offs, families should expect a 15 minute window prior to and after assigned stop time. KG and 1st grade students will not be dropped off unless someone is there to meet them at their stop. In the case that there is not an adult around when the bus is at the stop to drop the student, your child will be taken back to the schools latchkey program. It is our practice not to drop off a kindergarten or 1st grade student at a bus stop in the afternoon without an older sibling on the bus or a guardian/authorized adult at the stop to meet the child. We have experienced great delays, as we have routinely found that guardians/authorized adults are not yet at the stop to meet the child when the driver arrives. In many cases, our drivers have tried to wait for an adult to arrive to meet the child getting off the bus before continuing to the next stop. Sometimes, the driver has had the opportunity (based on the particular route) to return to the stop with the child in the hopes that an adult will be present. When that is not possible or when an adult is still not present, the student is taken back to the school building and placed in the care of Latchkey staff until a guardian can come pickup the child. These practices have caused incredible delays in our transportation system for other students and families. It has also increased the amount of time our buses and drivers are on the road, which adds to our overall cost of the program. If an adult is not present at the bus stop to meet the kindergarten/1st grade child (and no sibling is on the bus to accompany the child off the bus), the driver will take the child to the school’s Latchkey program at the end of the run. Our drivers are no longer authorized to return to a bus stop to see if an adult is present at a later time. Children will need to be picked up from the school’s Latchkey program. Please note that there is a fee for Latchkey which is $15 for each occurrence and must be paid at pickup (payment can be made by cash, check, or credit card). Families will be notified once the child has arrived at Latchkey. Please note that a school bus may arrive up to ten minutes ahead of the published drop-off time if fewer students are on the bus that day. Latchkey offers a drop-in service that is $50 for five visits. If meeting your child at the stop is a regular challenge, we suggest you purchase the drop-in service and contact the school before your child gets on the bus to make Latchkey arrangements that day. To register for the Latchkey drop-in service, please call 248.341.7950. In the summer of 2018 every bus stop was rigorously evaluated to ensure it met the requirements of a legal bus stop, thus ensuring every bus stop met our safety standards. Due to this recent evaluation, many stops have been changed in order to comply with the MI Pupil Transportation Act 187, which has many restrictions regarding visual distances and impairments. Due to the above guidelines, we are not able to configure every bus stop to enable an adult to keep visual supervision of a child while they wait for the bus. We also recognize that, in most cases, the route between your home and the bus stop may not have safety paths due to our municipality configurations. If transportation services are utilized, getting a child to school safely is a partnership between the family and our transportation team. We greatly appreciate your partnership in getting your child to school safely. Any requests for bus stop changes must be done by completing a Transportation Request Form. This form can be found online at www.bloomfield.org under Departments/Transportation. The form should be emailed to JMack@bloomfield.org or faxed to 248.3416298. Due to the heavy volume of requests we receive, it may take up to 2 weeks before we can get back with you. Each request will be evaluated and once a decision has been made we will contact you. Our bus stops for kindergarten students follow the same guidelines, laws, and Board of Education Policy as all other elementary school grades. For elementary students, the bus stop will be located no more than 600 ft. from the resident address in the student's record. Curious about a late bus? Need transportation information? What other factors are involved in establishing where the school bus stops? What about the safety of my child getting to and from the bus stop? There are no sidewalks where we live and it's not very safe walking on the busy road we live on. My child is starting kindergarten. Will the bus pick my child up in front of my house? Is there a law stating that an adult riding on a school bus for monitoring purposes be seated at a specific location on the bus? My child spends over two hours a day just riding the bus to and from school. Is there a maximum riding time in the law?